We live in a world full of ethical challenges – with populist politics, ‘fake’ news, doubtful business practices, and social media monopolies presenting real-life challenges. The list seems to be growing rather than diminishing. Do you feel that our professional codes of ethics equip us fully to help our clients work through their ethical challenges, such as being asked to do something that is significantly out of alignment with their personal values? How do you help them with their moral compass? Do we have the tools personally to do the ‘right thing’ in coaching, or even to decide what the ‘right thing’ is? How do we respond when the client’s agenda is clearly in conflict with wider societal and environmental considerations? Drawing on the work of Michael Carrol, Roger Steare and his own experiences over 18 years as an executive coach and coaching skills trainer, in this interactive webinar Richard Bentley explores what processes are involved in making ethical decisions and how we, as coaches, can draw on them to assist ourselves and our clients. 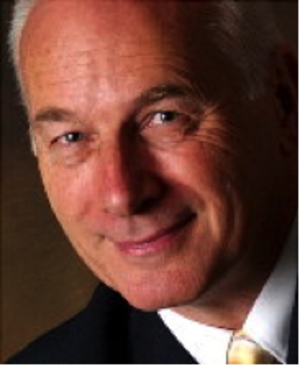 Richard Bentley PCC is a leadership catalyst with Munich-based consultancy, Q595, and has worked as a coach and facilitator with a wide range of organizations including BASF, Lafarge Holcim, Mannheim Business School, Deloitte in the UK and Switzerland, and Oxfam. He has served as UK ICF Co-President, and on the ICF’s global board of directors. His interest in organizational and coaching ethics was triggered when completing a postgraduate certificate programme in coaching at the UK’s Warwick University. Carroll, Michael and Shaw, Elisabeth (2013). Ethical Maturity in the Helping Professions: Making Difficult Life and Work Decisions. London: Jessica Kingsley Publishers. Steare, Roger (2009). Ethicability: How to Decide What’s Right and Find the Courage to Do It. London: Roger Steare Consulting Limited.